1,699 sq ft; lot: 0.62 acres - MLS# 1621319 Courtesy of Shorewest Realtors, Inc. Location, Location, Location! 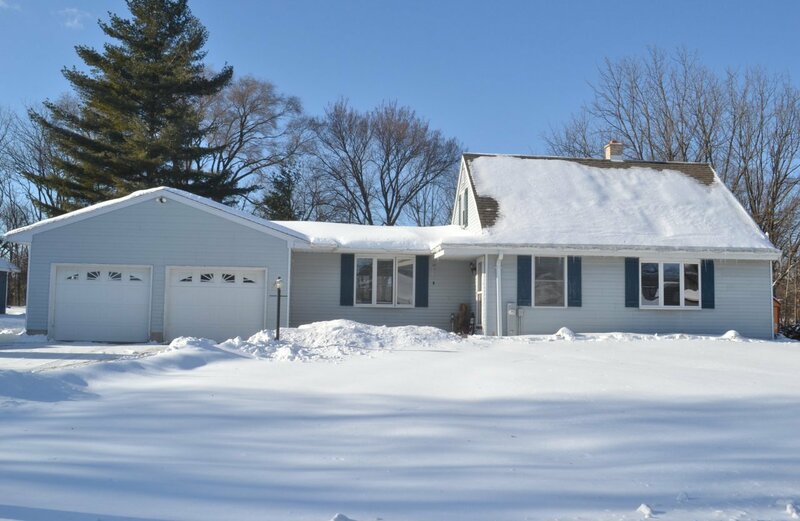 This 3 bedroom, 2 bath cape cod with Little Muskego Lake access is just what you've been waiting for. Just steps away from the lake in the front, and walking path in the back yard leads to Jensen Park. As you enter, you'll be just as impressed with this updated, move in ready home. Eat-in kitchen with SS appliances, granite counter-tops, soft-close cabinets, and ceramic tile. Newer carpet throughout. Updated second full bath with ceramic tile and granite counter. Main floor master with walk in closet and attached full bath. Extra den/office on main level. 2 additional generous size bedrooms upstairs. Oversized 2.75 car attached garage. Don't miss out on your opportunity to own this home before summer to enjoy the fireworks from your own front yard! !